Award winning cheesemongers (cheese specialists) at Cracker Barrel Cheese needed a way to show off their delectable collection of smooth and tangy cheeses. 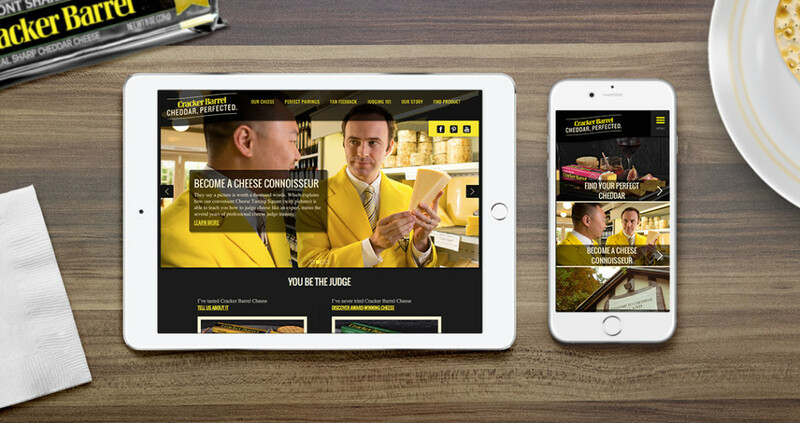 We wanted to take it beyond a great responsive website. We integrated and highlighted customer commenting so all cheese lovers could voice their appreciation.